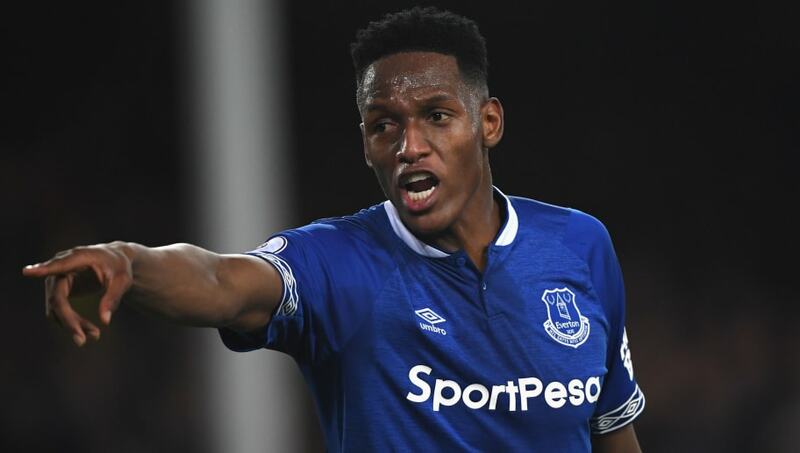 ​Everton defender Yerry Mina is facing the possibility of three or more weeks on the sidelines after suffering a hamstring injury whilst on international duty with Colombia. Late in the first half, Mina fell to the ground in pain after appearing to suffer a muscular injury whilst attempting a clearance. He was unable to continue in the match and was replaced by Barcelona's Jeison Murillo. The update on Mina's condition comes from ​Marca Claro, who state that the centre back faces a minimum of three weeks on the injury table, assuming his injury is a simple hamstring strain. However, there is also possibility that he could have suffered a more serious muscular tear, which could keep him out of action for the remainder of ​Everton's season. The 24-year-old has struggled greatly with injuries since joining the Toffees from ​Barcelona last summer. He was forced to wait until November to make his debut after arriving with a foot injury, and a similar problem surfaced in January which kept him out for another seven matches. In total, Mina has managed just 14 appearances in his debut campaign with Everton, netting his first and only goal for the club in the 5-1 victory over ​Burnley in late December. He has featured in the club's last two matches, starting in the 2-0 victory over ​Chelsea, but now faces another period away from the starting lineup. In Mina's absence, Chelsea loanee Kurt Zouma will likely line up alongside ​Michael Keane, who will be full of confidence after netting his first England goal in Monday's 5-1 victory over Montenegro. Marco Silva's side currently find themselves 11th in the ​Premier League table, with qualification for the Europa League now looking extremely unlikely. They face upcoming matches against ​West Ham, ​Arsenal and ​Fulham, all of which Mina looks likely to miss. However, should the Colombian be sidelined for just three weeks, Everton could welcome him back in time for the visit of ​Manchester United on 20 April.